The fact that Ward Foley was born with clubbed hands and feet in addition to Arthrogryposis Multiplex Congenita (AMC)—a disease that results in decreased joint flexibility—was just the beginning of the many challenges he would face throughout his life. Not only has he endured numerous surgeries in order to help him function more efficiently, but he’s faced perilous incidents ranging from a car accident and severe burns from a deep fryer, to an attack from the very youngsters he was trying to help in a youth home. Some may argue that Ward was cursed with rotten luck, but on the contrary, as painful and disruptive as many of these incidents were, they propelled him along a path that has shown him, and others, many blessings. Through it all, Ward relied on his faith and the belief that it isn’t life that’s good or bad, it’s what we make of what we’ve been given. Furthermore, he has found his calling through his adversity and his desire to find peace. Despite all Ward has been through in his life, he has managed to keep his strong sense of humor, which he uses skillfully throughout the telling of his story. I went from fighting back tears while reading of his despair to laughing at his humorous recounts of the daredevil days of his childhood and the manner in which he handled crude comments about his condition. Reading about the miraculous occurrences in his life and the lives of those around him filled me with hope while reminding me that magic sometimes wears the mask of coincidence. And like a magician, Ward transformed a series of misfortunes into a rich life through which he uses his experiences to connect with others to help bring them peace, solace and compassion during times of difficulty; whether working in a youth home, hospice, delivering motivational speeches or coaching little league baseball. However, these transformations were not illusions, but lasting contributions that will remain in the hearts of everyone he touched. 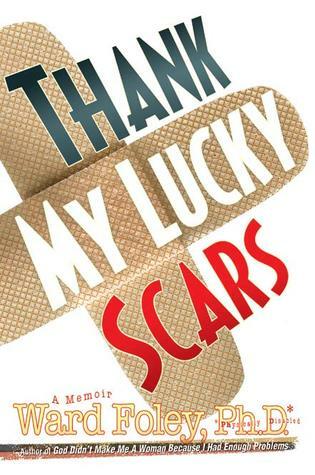 I highly recommend Thank My Lucky Scars because through reading it I, too, was touched and moved by Ward’s experiences. He has demonstrated that the human mind can defy physical limitations and the human spirit can heal itself and others while forming remarkable connections. I believe Ward’s undeniably resilient spirit and his continued desire to bring peace to others will inspire anyone who has ever found themselves against seemingly insurmountable odds or has ever been tempted to give up or surrender to their adversity. This entry was posted in Blog, Non-fiction, Reviews, Uncategorized and tagged AMC, Arthrogryposis Multiplex Congenita, Book Review, car accident, challenges, clubbed feet, clubbed hands, faith, inspirational, miraculous, motivational, non-fiction, resilience, scarman, spirit, Thank My Lucky Scars, Ward Foley. Bookmark the permalink.